You've always dreamed of going on a scuba trip to the Maldives right? It's been on your scuba bucket list for years, and you are constantly seeing scuba ads to Maldives, and thinking to yourself "but how can I afford this?". Girls that Scuba recently spent 2 weeks in the Maldives in a luxury resort, mid-range resort, on a local island and a liveaboard to see exactly where the best diving was, and how our community can afford to come and dive here too! You're going to be surprised at what we found! Here we break down the benefits/drawbacks and price and costs of each options. It's a big guide - read carefully, save and share, and let us know which one you chose! Famous for: Night diving with sharks! Thulusdhoo - Great for surfing too. Ukulhas - Eco-friendly local island. Our verdict on local islands: This is our top choice when diving in the Maldives. Cheap, access to all the dive sites the fancy resorts go to in that particular Atoll (all islands in the area go to the same dive spots - whether you are staying in a 5* resort or a AirBnB), and the feel of local life. Perfect for: The serious scuba diver, on a budget, or one that prefers staying on land rather than on a liveaboard. Either way, someone looking to do a lot of diving while on holiday. Diving: Boat dive with Fulidhoo Dive $58 (inc service charges - there's a lot of those hidden taxes in the Maldives, so beware when looking at prices). Let's not forget some of us are looking for a blow-out holiday and have some extra cash to spend on diving and staying in the Maldives - and this is where resorts come in! We all know Maldives is famous for it's luxury, and we will be honest we've never seen luxury quite like it! But, what is the diving like around these resorts? 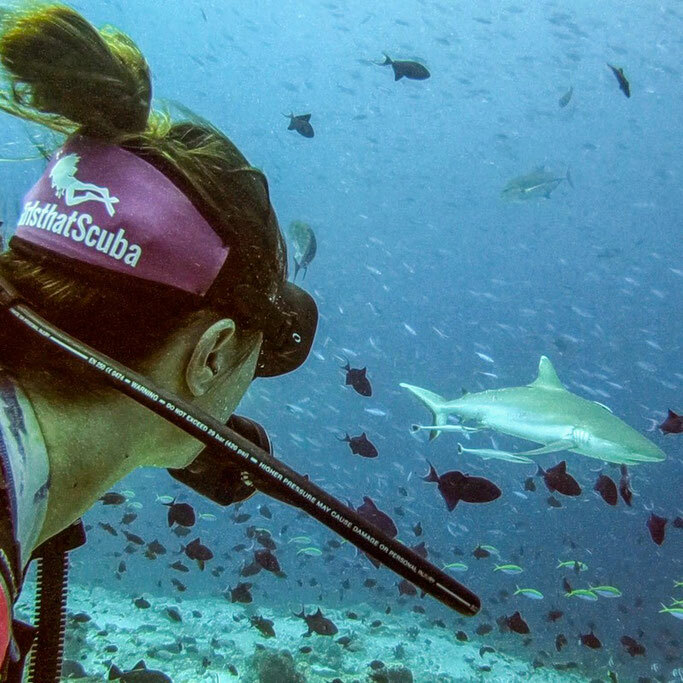 Well, amazing of course - just like all diving in the Maldives! But if you really want to make sure it's best to find the Atol you want to dive in first and then take a look at the resorts around that Atol. For example Hanifaru Bay in Baa Atoll, is one of the very few places in the world where whale sharks congregate to mate, and where tons of manta rays are more than presence for a large part of the year. So if that's what you are into (erm, yes) then take a look at resorts near Hanifaru. We headed to luxury 5* resort Anantara Dhigu (pictured) on Dhigufinolhu Island in the South Malé Atoll. To be honest, it's not the best diving in Maldives, but compared to other place in the world it is still fantastic and you can see lots of sharks, big schools of fish and dive in some nice warm water. 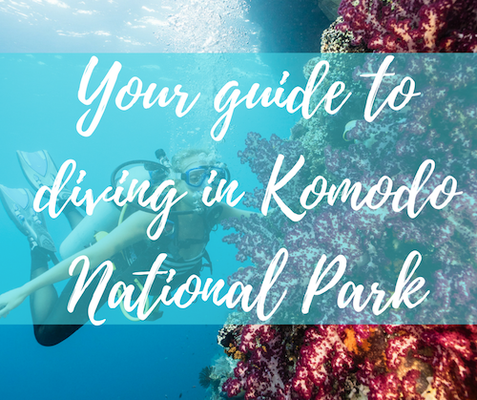 Don't get us wrong, we loved the diving here, super easy and so much to see - but we may have just been spoilt dancing with mantas at Fulidhoo the local island! Baros Resort - 2 dive centres and 30 world class dive spots within 50 minutes by boat. Niyama Private Islands - they even have an underwater nightclub?! Our verdict on scuba diving while staying in luxury resorts: If you are spending thousands of dollars a night to be in possible the best hotel room you'll ever sleep in, you tend to want to spend every penny wisely. Diving in the Maldives is great pretty much wherever you go, it'll be great around the resorts - but then so are the luxury dinners, the overwater spa's and private beaches. For the serious scuba diver resorts can be distracting. If you only plan to do a few dives then resorts are your place. In fact resorts are the PERFECT place. Relax, dive, relax, eat. Perfect for: Anyone just wanting to do a few dives on their holiday and enjoy the resorts. Expect anything from $500 - $10k a night (or even more) not including taxes, activities or alcohol. Some resorts will also let you charter your own dive boat starting at a sweet 10k for a two tank dive day. And don't forget the TAX,TAX,TAX. Never added, always comes as a surprise. Then there's food, alcohol, activities, spa days, boat days and anything else that you can think of in a luxury resort. We couldn't even say how much you'd need to 'budget' for a stay. But maybe the word budget shouldn't come into it. The diving won't be included with the price at resorts. And they differ massively. Going from experience at Aquafantaics at Anantara it is $85 for one-tank dive + $20 equipment rental. Here's a quick glimpse of our stay in a resort - and a bit of the diving. Budget resorts in the Maldives, are they really a thing? Sure are! Remember, the Maldives is (trying) to open itself up to the masses now - from every budget and every country. But also don't forget 'budget' isn't the same as budget in Indonesia. We headed to Ellaidhoo Maldives by Cinnamon during our stint diving in Maldives. We LOVED the diving there in the Ari Atoll ; tons of sharks, not too much current, huge schools of fish, whale shark sightings and more. Ellaidhoo is an extremely popular dive resort for German divers - many come back year after year. There is no denying the diving here is world class- even their house reef boasts sharks, sharks and more sharks, rays, turtles and more. Talk about a nice try dive. You'll want to bring your own gear here - there's isn't too great and costs rack up hiring each day. The food isn't anything to shout out - basic resort buffet food, but does the job after a long day diving. The accommodation? The basic rooms are that; basic, but provide everything you need. Their over-water bungalows are nowhere near the standard of the high-end resorts, but Ellaidhoo is not a high-end resort. The sharks must have loved the GTS mask strap! Click to get yours! Perfect for: Great options for a mid-range priced scuba holiday. Here you can find the perfect balance of scuba diving and relaxing, and if you bring you our kit with along you can just dive with your buddy on the house reefs when you want. Prices at Ellaidhoo start at £167 per night including buffet breakfast and dinner. That's pretty mid-range/ budget right? Well, don't forget the tax (12 % TAX , US$ 6.00 Environmental fee per person per night, US$ 202.00 Shuttle fee per person per stay). Hmm, yes, the big problem of the Maldives: THE TAX! When it comes to everything else remember - you are still in a resort so whatever you buy is from the resort, which usually equals that little bit extra. Saying that a beer here was $7 which is cheaper than a lot of places around the world. Go full board/all inclusive if you want to avoid any extra chargers. Hotel and spa on the sea? Yeah, we could do that! 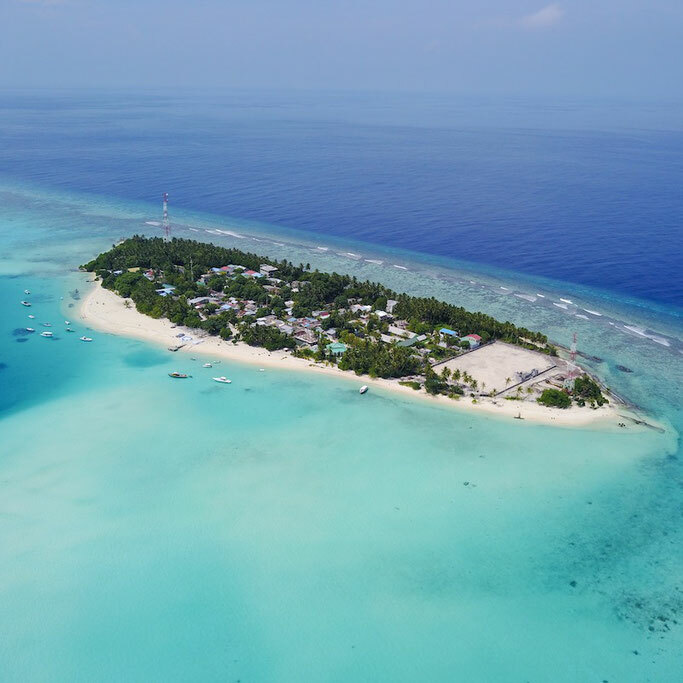 We asked GTS and blogger Annika from Midnight Blue Elephant about her experience on a liveaboard in the Maldives, here's what she said. Taking a dive trip with a liveaboard in the Maldives is an experience I can highly recommend. For once, you are not limited to dive sites that are in the vicinity of one island. Getting around in the Maldives can get quite expensive considering the distances and the travel modes (seaplane, speedboat or regular plane). If you want to see a variety of dive sites during any given season and really get a ‘best of’ overview, a liveaboard is the way to go. I boarded the Yang by Scubaspa in August, usually considered offseason in the Maldives. 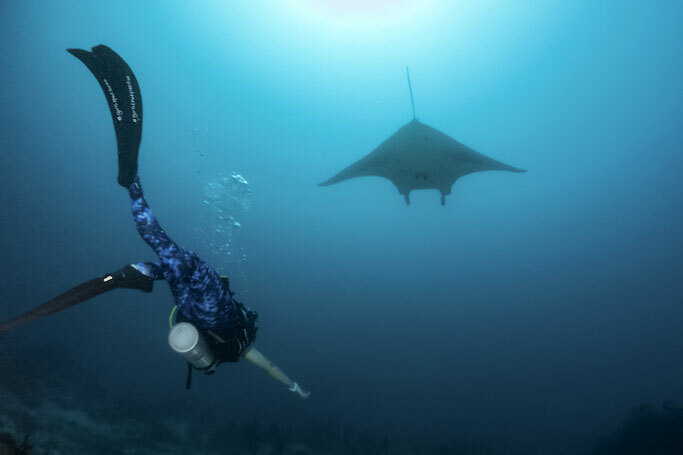 More rain than usual and not so great visibility didn’t sound too appealing, however, it is also the season for mantas and whale sharks and of course, discounted prices. Regardless of expectations, the weather was amazing and the visibility was still really good compared to many other places I had recently dived before. Have I mentioned the never-ending stream of sharks already? In addition to really great dive sites that were adjusted according to the weather en route, diving on a liveaboard like Scubaspa made for a real luxurious holiday above and below the surface. Massages, cabins with beautiful panorama windows, free Nitrox, proper cappuccinos to get you going for those early morning dives and fresh omelets upon return. Our crew from instructors to the boat crew was incredibly knowledgeable and fun, and each of the divers was assigned a group according to certification and - something I appreciated - air consumption. With that, a camaraderie developed throughout the week which made the diving, even more, fun - important especially if you are a solo traveler. And as usual, safety comes first here - all divers are required to do an intro dive and have a reef hook, computer, and SMB. And they will even show you how to deploy it if you haven’t done it before. 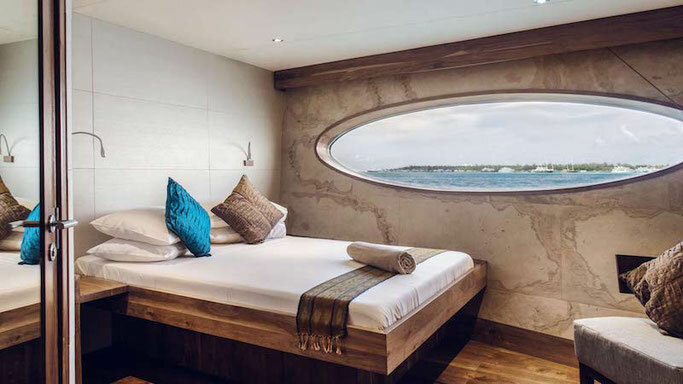 Based on Annika's recommendation of the Scubaspa (as we've not been on another Maldives liveaboard - yet) you can jump onboard for as low as £1758 per person and goes up to £2158 depending on which room you choose, BUT that is based on 2 people sharing. Single occupancy starts at £2637! Quite a price difference there! The great things about liveaboards are the price you pay at the beginning is usually all you are paying (unless you buy extras onboard) so actually it could turn out as one of the cheapest options if you look it as (based on Scubaspa lowest price) £251 per day inc all food, accommodation and diving. That runs similar to the mid-budget resorts, but not as cheap as the local islands. 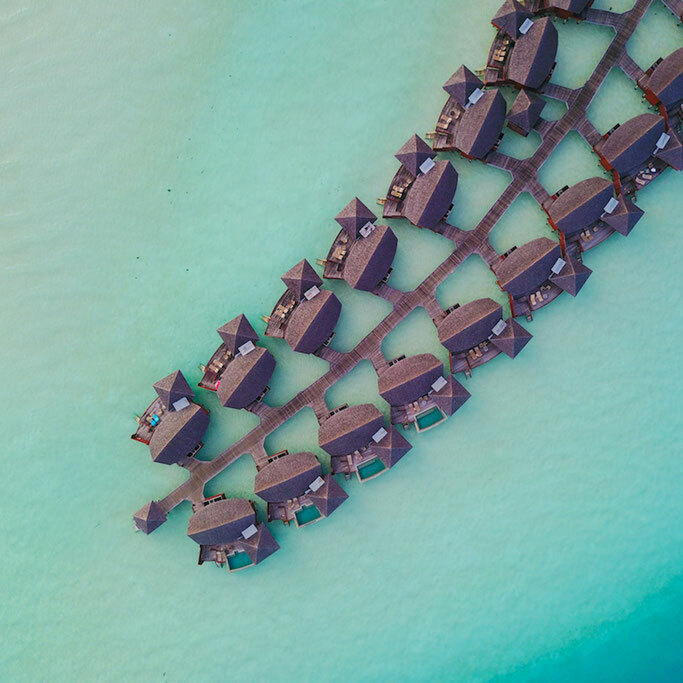 We understand booking a trip to the Maldives isn't a spur of the moment decision and lots of research is needed - so we hope this guide has helped. We also understand we all want different things, and some have different budgets, but our recommendations based on our experience is: LOCAL ISLANDS. There you can access all the dive sites that resorts/liveaboards do for a much more reasonable price. You also get the feel for 'real' Maldives, get choice of restaurants/cafes and even dive shops. It's a flexible cheap option. But that's just us, and we love liveaboards equally, but maybe not the price (as we kinda love going on more than one scuba holiday a year). What about you guys? What are your recommendations in the Maldives?